The nasturtiums on the orchard floor have finished flowering. The bright orange and yellow blooms have been replaced by wrinkly green seeds. 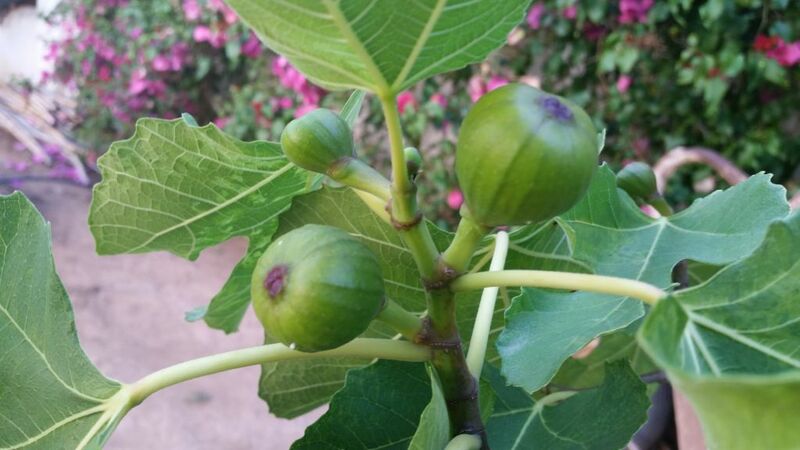 These can be enjoyed in salads for their peppery taste. I did consider pickling them to make ‘poor man’s capers’, but there are enough laborious tasks to be done in a weekend without adding more to the list. We removed the last of the nasturtium plants from the orchard, but some seeds remain in the dams around the trees for Mother Nature’s future use. As much as I enjoy the madness of the nasturtium covered orchard floor, I also enjoy the neatness of the clean floor with the dams neatly shaped around the trees. It is as if Spring had a party and Summer cleaned it up. 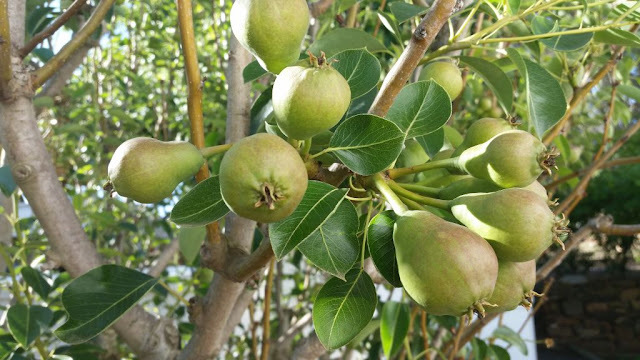 The domestic orchard was laid out to produce a variety of fruit over the seasons of the year. The fruit that it supplies is used in as many dishes as may be conjured by the imagination. Spending time in the orchard is always a pleasure. Chores like watering and checking the fruit-fly bait stations also provides a moment of relaxation and being in a quiet, serene space. 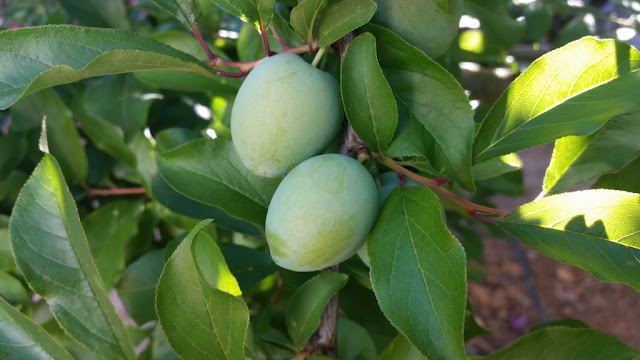 With the early peaches harvested, the focus shifts to the first apricots that will soon ripen. The trees are covered in a variety of young fruit, from apples, pears, peaches, nectarines, figs, citrus and pomegranates, to plums, quinces and prunes. It is much like a symphony of flavours that awaits us for summer. Every year the orchard produces the same fruit, but each time it feels like the first harvest. 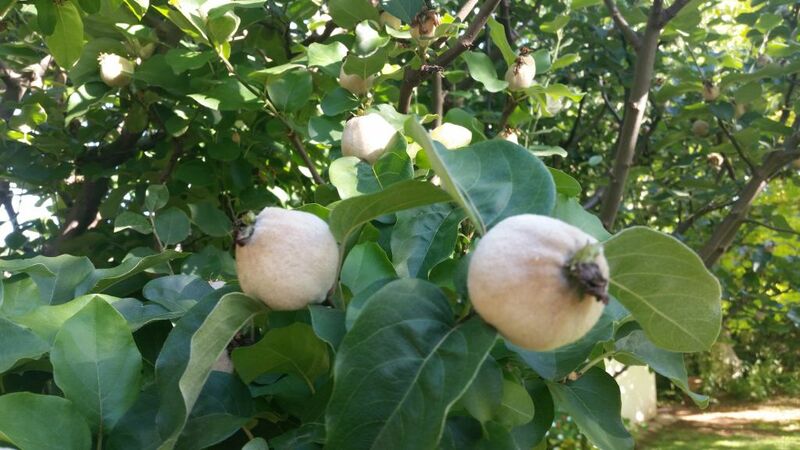 The orchard does not produce vast quantities, but there is still enough fruit to enjoy fresh and some for preserving. Each year I try to make some new preserves or liqueurs from the fresh fruit that I haven’t made before. 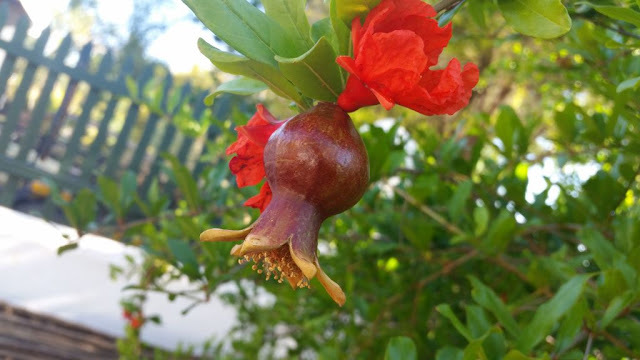 The young fruit of the pomegranate resemble Christmas baubles. They create a festive mood at the bottom of the orchard. 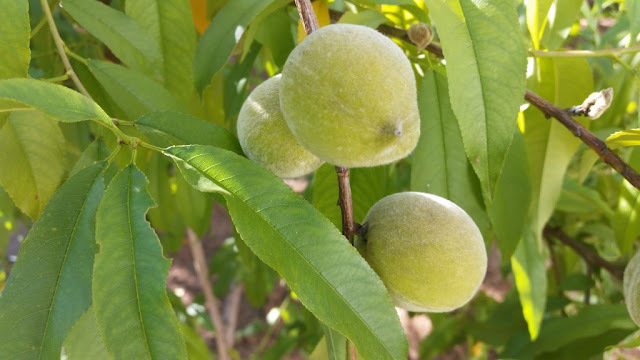 The apricots are starting out with cheeks covered in freckles. They will soon blush into the warmest of reds. The quinces on the other hand look like little furry animals with fat pot bellies. 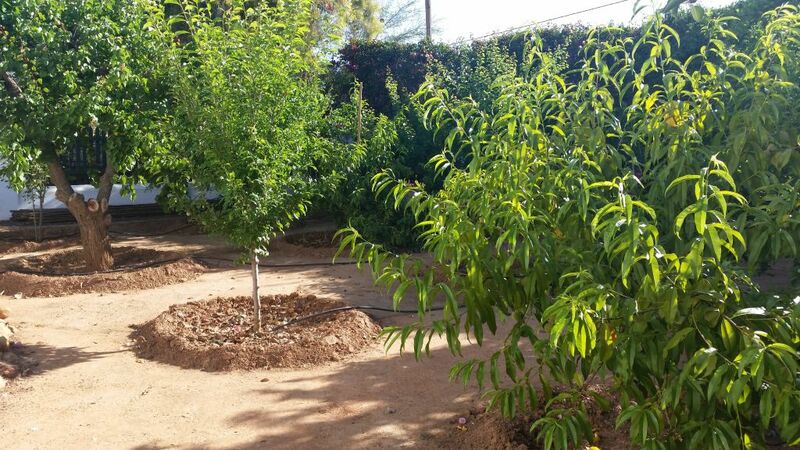 An ordinary orchard turns the Towerwater garden into something extraordinary. It brings so many surprising pleasures to the table in so many ways. 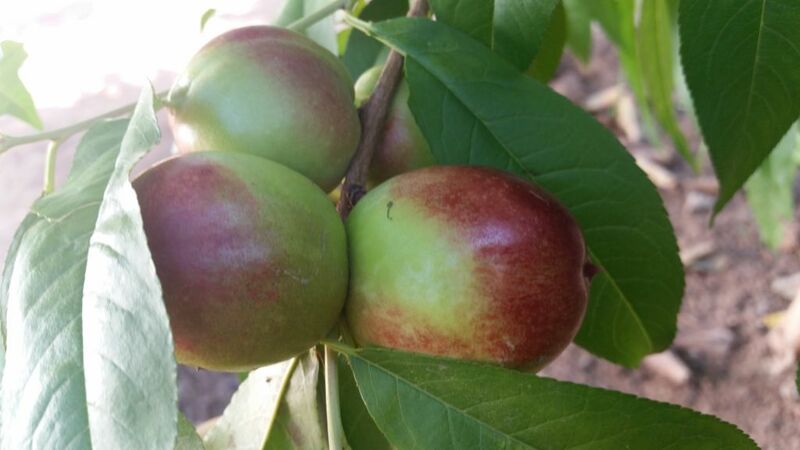 Amazing how a few fruit trees in the garden can add so much in so many ways. What fun to watch their progress from the trees to the fruit bowl, and table. Lovely images.